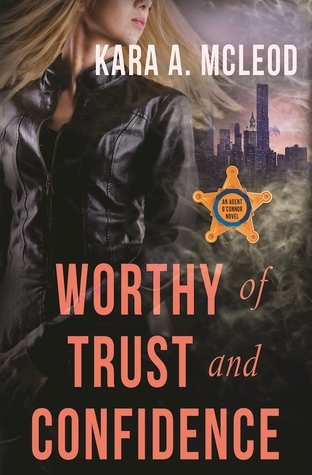 Kara A. McLeod knows how to write a great story with characters that have strength and at the same time are vulnerable. A hard mix but when is done well gives the reader a character that is absolutely captivating. Worthy of Trust and Confidence, gives you not one but two leading ladies that will capture your heart. First off if you haven’t read Actual Stop you need to stop right here and go read it. You cannot read this one first, you’ll be totally lost. Take it from me it’s damn good and you want this in your life. We pick back up with Special Agent Ryan O’Connor recovering from bullet wounds after the assassination attempt on Iran’s president. Ryan is haunted by the death of her former lover and riddled with guilt because she survived and Lucia didn’t. She holds back her pain from everyone, including her now girlfriend, Special Agent Allison Reynolds. Why to be tough? No that’s not it, but because she doesn’t want Allison to feel guilty as well. Her text message saved Ryan but cost Lucia the ultimate price. Ryan wants to shoulder that guilt all herself, even though she desperately needs to talk about it. She also is walking on eggshells with Allison. Old wounds from the past keep her from leaning too heavily on the love of her life. She doesn’t want to screw it up when they just go back together. All the while Allison’s heart is breaking Ryan won’t open up, she is also dealing a boss that is causing her hell on Earth. So while the last book was a little heavy-handed on secret service procedures, this one is not. Not at all, this is an action-packed adventure with two badass female leads with smoldering hot chemistry. Once I got started, there is no way in hell you could have dragged this book from me. I needed to finish this one. It is that good! You have a fantastic mystery, a ton of corruption and a love story that just won’t quit. This one surpasses the first in the series and is every bit deserving of its five-star rating. This is one of those books that the cover actually sold me on the book. I like a good cop procedural but sometimes it has too much crime. (That’s probably an oxymoron, right, too much crime, but you know what I mean, you read romance novel too!) I will confess the romance is what I want, catch the bad guys sure, but let’s have more smoldering romance than chasing villain’s, okay. Special Agent Ryan O’Connor is a secret service agent that works the on the Protective Intelligence Squad handling threat cases. Ryan has finally got her life back on track after having her heart shredded by the love of her life. Ryan uses oodles of duct tape and pieces back her heart to finally begin dating again. She has entered in to new relationship with a one of NYPD’s finest. The only problem is Lucia feels way more attached that Ryan does. 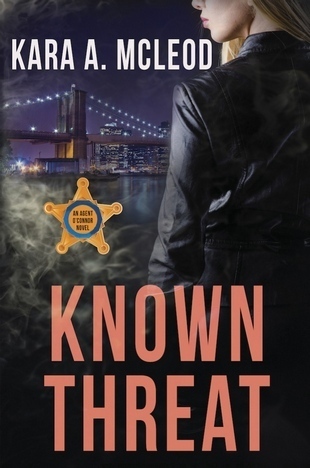 Enter the heart breaker herself, Special Agent Allison Reynolds. This is secret service agent is one of Mr. President’s own guard. She is calm, cool and collected in a constant storm of chaos. Ryan is her weakness though. You can tell as soon as they come back together to work a detail to guard the President as he travels into the city. The old flame is back, but what is it she’s after? So my thoughts on this one are mixed. I really, really liked it, well most parts of it. What I love specifically is the angstiness of it. Ryan and Allison have chemistry. HOT!!! It’s obvious as soon as they see each other again after their four year hiatus. To me as the reader the attraction and dynamic these two had just jumped right off the page. I loved the parts of the story where these two were together and trying to navigate how to be friends and colleagues. What I was not a huge fan of is too much detail about the Secret Service. Too much procedural stuff, details that are important to the line of work sure, unglamorous at times, but still just a smidgen will do. I understand why it was there it just became rather dry. This is what may turn some reader off, but if you can look past this there is a diamond in the rough. 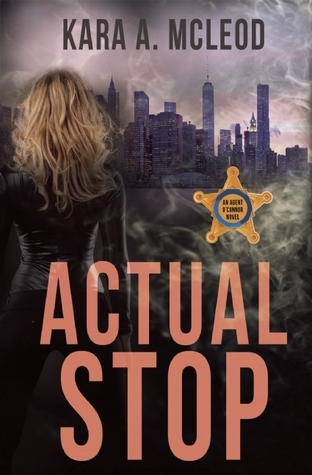 For me Kara A. McLeod’s first novel Actual Stop is a big hit. I thought this book had emotion and I loved it. The feelings Ryan has for Allison is dynamic, the emotions and intensity of their attraction just pulled me in chapter after chapter. While reviews maybe mixed, I quite frankly loved this one.